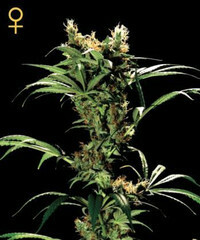 Self-inbred Black Domina is one of Sweet Seeds most aromatic and strong strains. 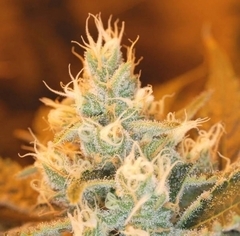 They selected this plant in 1998, a favourite in Valencia and the surrounding area, winner in the second Valencia cannabis cup organised by "Barraca de Maria" (2004). The in-breeding of this "super mother" produces resinous dense buds of intense aroma and musky flavours inherited from its Afghan ancestors. Sweet Afghani Delicious (S.A.D.) seeds are very homogenous, so too will be its offspring's. Excellent for indoor growing and suitable for all kinds of outdoor areas. Easy harvesting and very resistant to pests and fungus. - Winner "X Bella Flor Semillas del Millon". - Winner "Copa del Plata 06". Yield: indoor 400-500gr/m, outdoor 350-550 gr/plant.